EXCITING NEWS FROM BLUE BRIDAL!!!! Blue Bridal is happy to announce the Grand Opening of our 2nd location in Castle Rock!! 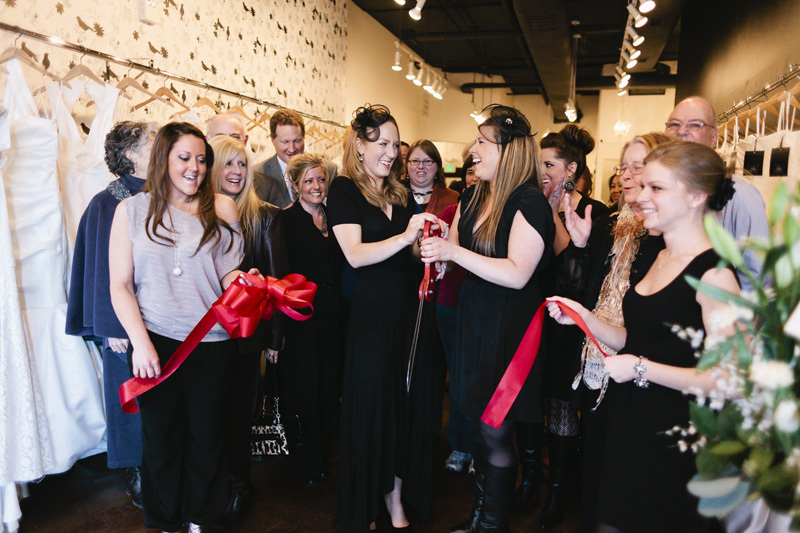 Last night was the Ribbon Cutting & Grand Opening party! The evening was filled celebrating with family, friends and our wonderful vendors. Thank you to Alexan Events for planning this event, Steven Stanton Photography for taking photos of our new shop, Tim Twinem with Velare Imaginarium for filming this event, Ryan Difranco with Difrancos Catering for providing delicious food and last but not least thank you to Gigi’s Cupcakes for providing scrumptious desserts! The new shop is super chic with black and white decor and touches of grey! We are so happy to have another space that is warm, welcoming and sophisticated! Blue Bridal is so excited to bring our fabulous designers like Tara Keely, Blush by Jim Hjelm, Pronovias, La Sposa, Manuel Mota, and Rivini to the Castle Rock region. The shop is located at 399 Perry Street Suite 100 Castle Rock, CO 80104. Please contact us at 303.660.1239 to schedule an appointment today! We look forward to forward to helping you find your perfect wedding dress!